Last week’s issue featured Every Day Counts (EDC) success stories that support U.S. Department of Transportation and Federal Highway Administration goals on safety and infrastructure. 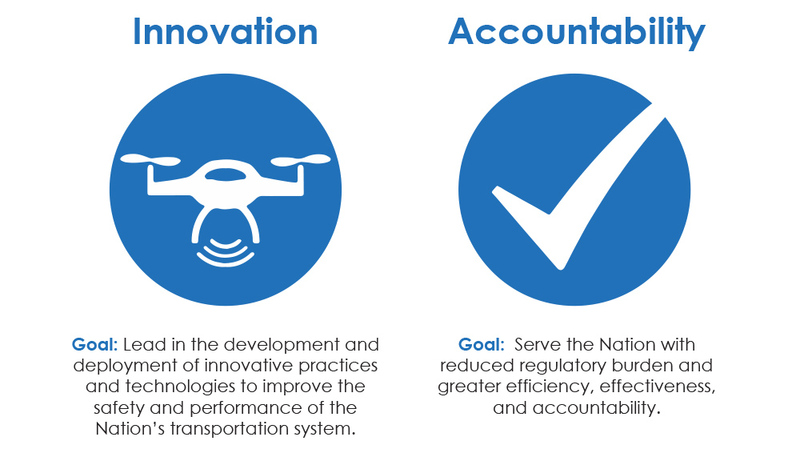 This issue focuses on how EDC advances goals to deploy innovation to improve the transportation system and to serve the Nation effectively and efficiently. For example, e-Construction uses readily available digital technologies to improve construction document management, saving time and money and enhancing communication. As a result of EDC, nearly every State is developing plans for, demonstrating, or assessing e-Construction tools or using them as a standard practice. The Idaho Transportation Department (ITD) institutionalized the use of project collaboration software for project-level electronic document management and shared the software with local agencies. Traditionally, project documents were reviewed and approved by email, but ITD started using a PDF viewer as a platform for plan reviews, comments, and revisions. Three-dimensional (3D) engineered models help agencies more effectively complete project design and construction, visualize projects for public involvement, improve schedule and cost management, and create accurate as-built records. Thirty States are implementing 3D modeling and planning to make it a standard practice, while six States have already institutionalized the practice. The Utah Department of Transportation is piloting construction contracts using 3D models to replace two-dimensional plan sets, enabling significant improvements with digital project delivery and construction automation. To enhance accountability, agencies are integrating National Environmental Policy Act (NEPA) and permitting processes to synchronize agency environmental and permitting reviews and save time and money on projects. Nineteen States are developing implementation plans or demonstrating and assessing integration tools, and 15 States now use these tools as a standard practice. The South Carolina Department of Transportation is developing merger agreements for Clean Water Act permitting to shorten project delivery while ensuring that review processes meet the standards of signatory agencies. State transportation agencies and metropolitan planning organizations are using regional models of cooperation to coordinate planning across jurisdictional boundaries to reduce congestion and deliver projects faster. Use of regional planning to address transportation issues is a standard practice in 20 States, and sharing data models and tools is institutionalized in 18 States. Arizona agencies established the Joint Planning Advisory Council to enhance coordination on planning and economic issues in the fast-growing Sun Corridor. Priorities include coordinating on regional freight planning and sharing technology and data analysis to enable council members to collaborate on data-driven decision making. See FHWA’s 2019-2022 Strategic Plan for details on the agency’s goals and objectives on safety, infrastructure, innovation, and accountability. Pavement preservation provides a means for maintaining and improving the functional condition of an existing highway system and slowing deterioration. A new publication, “National Cooperative Highway Research Program Research Report 858: Quantifying the Effects of Preservation Treatments on Pavement Performance,” describes a process for using performance measures to quantify the effects of preservation treatments on pavement performance. Transportation agencies using these measures in their asset management systems can effectively select appropriate preservation treatments, optimizing the allocation of resources. For information on pavement preservation, contact Thomas Van of the FHWA Office of Infrastructure. For information, contact Paul Pisano of the FHWA Office of Operations or Ray Murphy of the FHWA Resource Center. Do you have a keen interest on a specific EDC-5 innovation? Click on the subscription link to receive information on webinars, peer exchanges and other resources.